I always use this tape for my paper-crafting projects. Fantastic adhesion and easy to use. Lasts a long time too. Best pricing anywhere. I highly recommend this product. Great for assembling wedding invitations. No smell and no mess. Use with 3M Scotch ATG 700 applicator. Thanks to NHS for having it in stock. 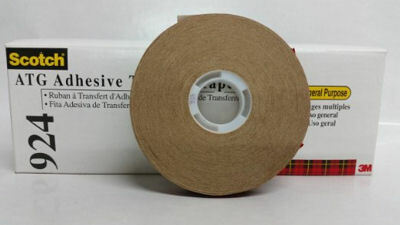 3M Scotch ATG 924 tape is a permanent, hi-tack, 2.0 mil all-purpose transfer tape that offers excellent adhesion to most paper stocks. Bonds a variety of similar & dissimilar materials. Very strong adhesive, but it can repositioned if you do it quickly after application. LONG YARDAGE rolls means less time taken to change out rolls. Excellent for sealing pockets in folders, bonding matte board in picture frames, card making, splicing paper, films, and foils, and general purpose bindery attaching. 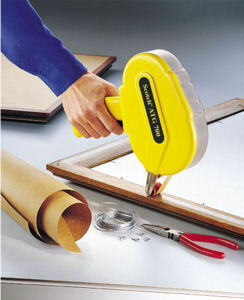 Easy to apply with the 3M hand held dispeners - ATG 700 Yellow Applicator. - Mounting promotional items, posters, etc..
- Bonding matte board in picture frames. - Peice together wedding invitations.